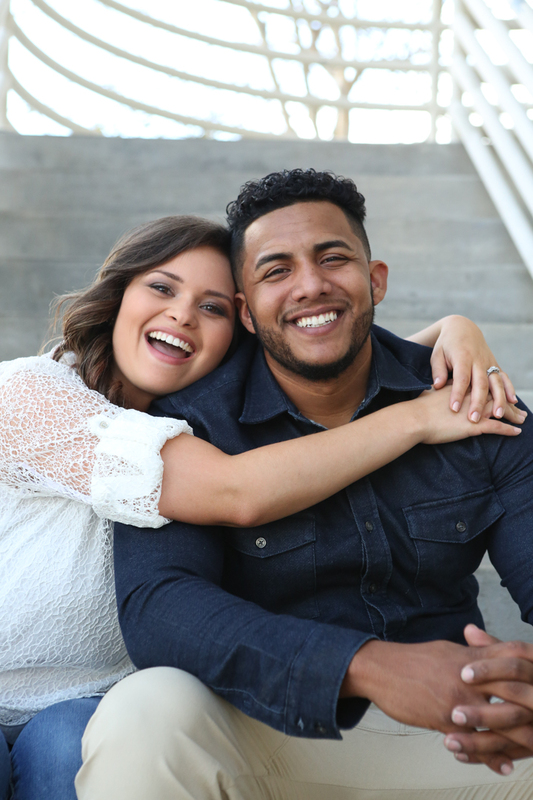 Alexandrea and Omar are high school sweethearts, which is pretty darn cool. They met at Boone High School, so it was only right that we do their engagement photography at their old alma mater. We walked the hallways and they couldn't stop laughing and reminiscing about the old days. Alexandrea said, "Hey, look its the table you asked me to be your girlfriend at!" So cute! We met up with one of Omar's favorite administrators, Mrs. Iglesias, who provided us access to the campus. Special thanks to her for a great place to shoot! Check out all the fun below.